Many long-open tabs were closed today . . .
Merva behaved in a delightfully amorevolous way toward me this yesterday afternoon, she was so happy to see me for longer than a few minutes. She and I took a nice, long nap together, during which I'm almost positive she purred a little. *\o/* I also had the chance to pay bills and browse a bit, so links follow. LJ promo, first! Have you seen the new comm, hp_bunintheoven? Its focus is pregnancy and babies and het, slash, femslash, [and] surrogacy works are welcome! RainyMood is my default background sound site, but here are 29 other sites just like it for your mind-quieting enjoyment. Calmsound's country garden is particularly nice (although it does cause my Merv to sing the Bird-Killing Song in her sleep *g*). There are so many reasons to love Reddit; here's one from r/behindthegifs: Hairy Pawter (WS comic). 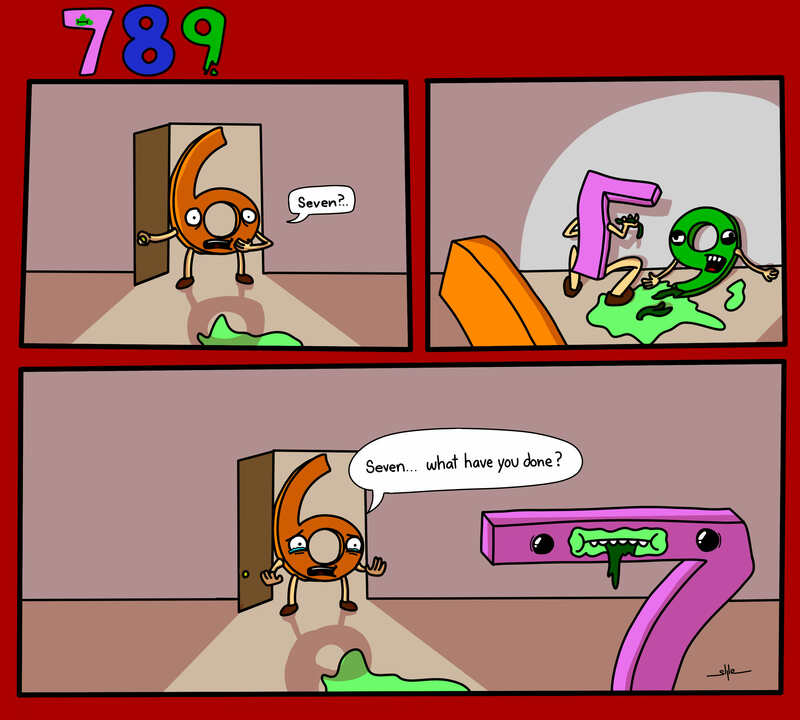 Do you know the joke, Why does 6 hate 7? Because 7 . . . (WS comic). Here's a wedding and a honeymoon in the same image (WS for humans). WS gif: who's more talented, the human or his cat? And this is NOT safe for work or brain. Here's a dude who writes weepingcock-worthy stuff for fun: Without warning she gave it a swift headbutt, because men liked that. All men liked that. His fic is wrong on so many levels (WS image). the forbidden love that was the origin of BB-8! 7 ATE 9!!!!! I'm giggling like a loon here. Also? Background sounds. I love these. I work to white noise, so I'm happy to be able to upgrade. Thanks for sharing them!